Nokia Lumia 900 Philippines Launch Date, Confirmed! Price and Release Date To Follow But We Have a Guesstimate! In today's Nokia Lumia Amazing Everyday event where I rode a helicopter for the first time and got the chance to play with their new Windows Phone handsets again, our friends from Nokia Philippines confirmed to me that the biggest and most powerful Lumia to date will be launched in the country on May 18, 2012! Flaunting a massive 4.3-inch AMOLED Nokia Clear Black display in front and a powerful 8 MegaPixel camera with Carl Zeiss optics at the back, Nokia Lumia 900 wrapped in monoblock polycarbonate shell could well be considered the Finnish company's true flagship release this year. On the software side, the phone runs its Windows Phone Mango 7.5 Operating System with its 1.4 GHz Scorpion CPU and handles multitasking with 512 MB of RAM. 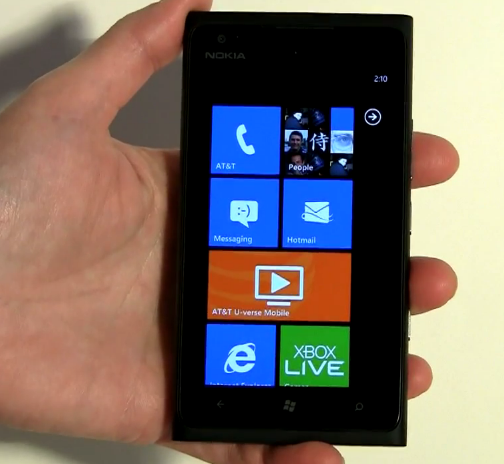 Being the company's top-of-the-line smartphone this year, Nokia Lumia 900 comes not just with the best innards and widest screen of any Nokia handset currently available but also with the complete set of Windows Phone features including XBox Live for gaming, Zune for music and Marketplace for downloading applications, among others. Users also get exclusive useful applications like Nokia Drive and Nokia Maps. In other territories like the US, Nokia Lumia 900 supports LTE connectivity. I'm not sure if the same variant will be released here but considering that both and Smart and Globe are now prepping to publicly launch their 4G LTE services and plans, there's reason to hope that Pinas would get Nokia Lumia 900 4G version. According to our friends from Nokia, Nokia Lumia 900 will be launched in the Philippines on the 18th of May via an exclusive event. Note that the launch date is different from release date, which they haven't really confirmed when. Likewise, they've yet to give word on the phone's official suggested retail price. I'm guessing though that Nokia Lumia 900 will be available in select Nokia Stores nationwide a week or two after its launch with an SRP of around Php 30,000. 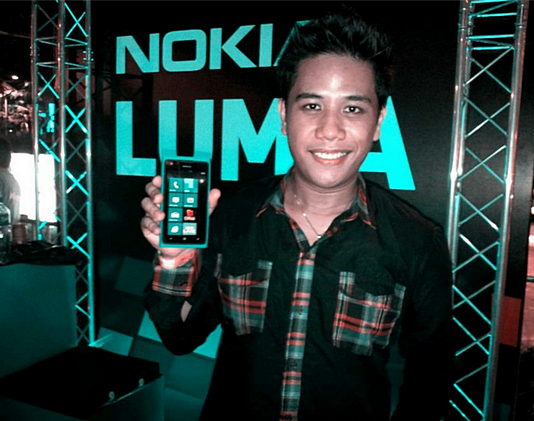 Last night, Nokia Philippines officially launched Nokia Lumia 900 via the Lumianation Party Event at The Amphitheater in Bonifacio High Street. According to Nokia, the flagship handset should hit store shelves across the archipelago within a week or two with an official suggested retail price of Php 27,990. Be one of the first to get and you'll receive a free Nokia Purity Headset by Monster!